Try the signature Date Wings at DATE Restaurant, they're made with local ingredients. The Palm Springs locals have a simple nickname for their part of the world: Paradise. Spend some time in our spacious retreat in the shadows of the incredible San Jacinto Mountains and you'll soon see why. And with all the incredible facilities, you may not even want to venture too far from poolside. The pool complex itself is the largest in Palm Springs, including a kids' pool and play area, and is open late for anyone who craves an after-hours moonlit dip. Enjoy fine dining in the DATE restaurant, exquisite cocktails at ROCKS bar or take in a drink under the stars at our luxurious outdoor patio bar. And to discover the outstanding natural beauty of the surrounding area, just ask resident Navigator Will for all the best local tips. 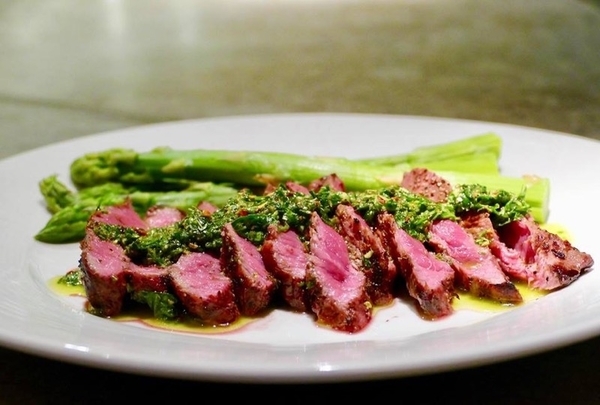 A contemporary American Cuisine that offers a full service bar and lounge with live music. Located in the heart of downtown, Antigua offers a wide variety of dishes that are capable of satisfying diverse palates. It features a full-service bar, a pet-friendly patio, as well as, vegetarian and gluten-free options. 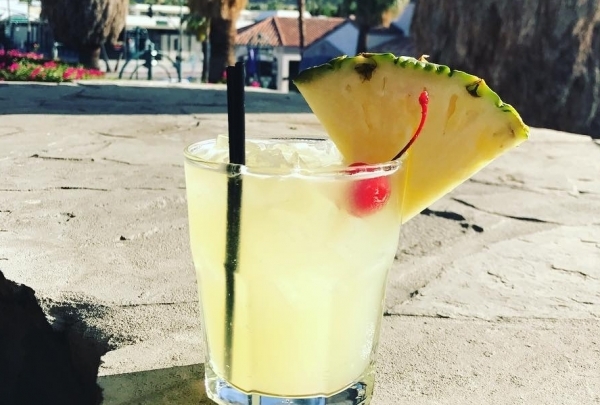 Whether it is a girls night out, an evening with the boys, or a good ol' family get together, Antigua is a great way to start your night in Palm Springs. 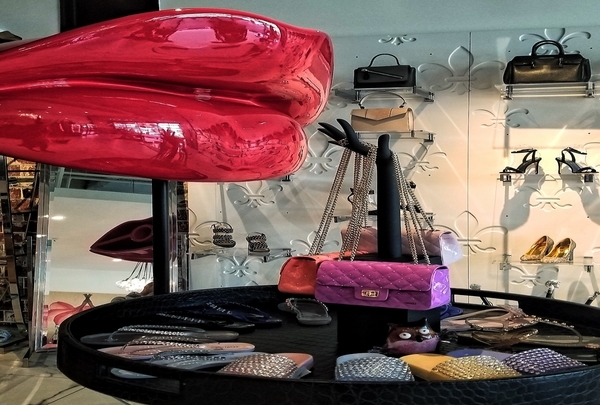 Authentic Italian Fashion Store In the heart of Palm Springs. Drawing inspiration from the likes of Versace and Tom Ford, Angelo Anastasio brings his creative mind to life in Palm Springs. As soon as you walk in, you get a sense of his personality, vibrant colors juxtaposed with a punk touch that features skulls, spikes and stones provoke awe. Angelis Fashion is 100% authentic and a must visit during your stay in Palm Springs. Skincare store featuring diverse products for people of all ages. Located on Palm Canyon across from the Mercado Plaza, PSP Beauty Shop is your one-stop shop for beauty products and skin care treatments. 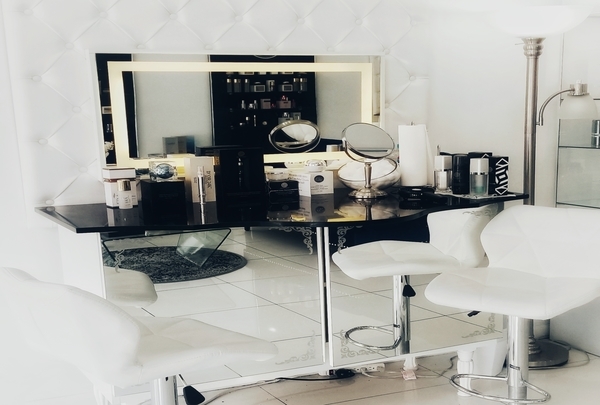 Lior, the owner, has been in the beauty industry for over nine years and has studied cosmetology in Italy. He uses skin care products infused with gold and diamonds and offers LED and blacklight treatments to give your skin the luxurious care it deserves. Stop in & try the best shakes in Palm Springs! Looking for something to satisfy your sweet tooth? Visit Great Shakes, where you will find over 30 tasty flavors to choose from, as well as other tasty treats like doughnuts. 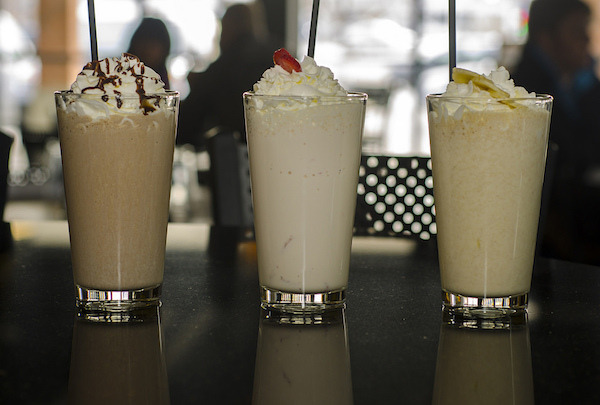 Great Shakes is a perfect treat for summer. Enjoy coffee, art, music, and so much more. 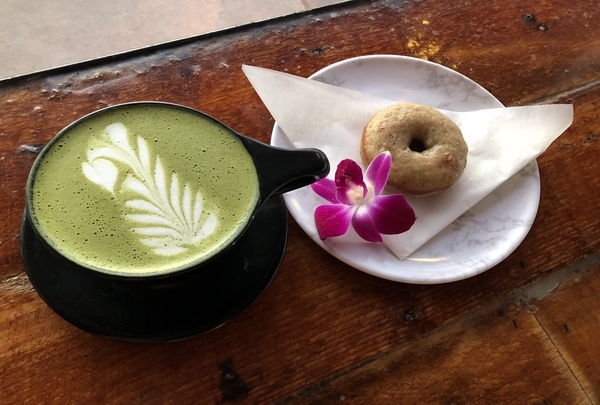 Gre Coffee House is an independently owned coffee shop right on the main strip of Palm Springs. 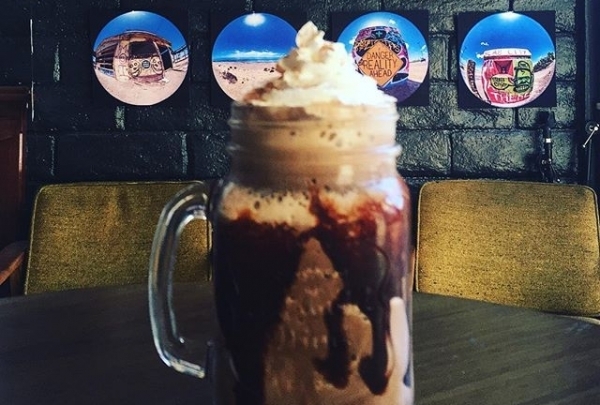 This Coffee House is not your typical coffee shop -- it is also an art gallery that showcases different artists every month. They also host "Game night" every Wednesday and "Open Mic Poetry Night" once a month along with live music. Gre Coffee is a lively and enjoyable coffee house for everyone. Take in the natural beauty of the canyon. 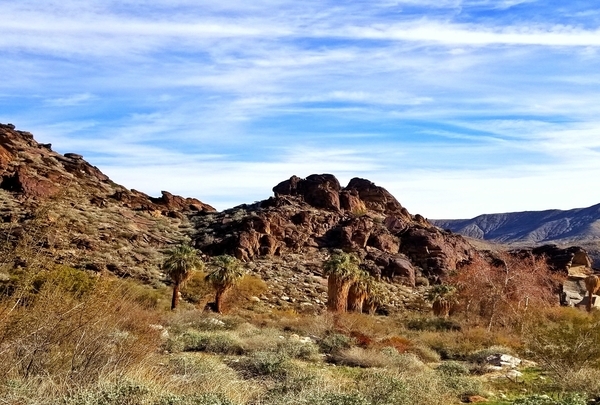 Tahquitz Canyon is a historical attraction located on the Agua Caliente Band of Cahuilla Indians Reservation. 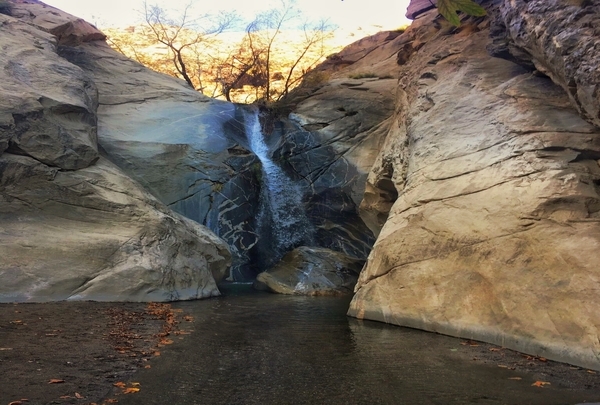 For many years, visitors have come from all over to hike and sightsee the Tahquitz Canyon's breathtaking natural waterfall and unique rock formations. Stop and shop here for a large collection of souvenirs that you can gift back home. 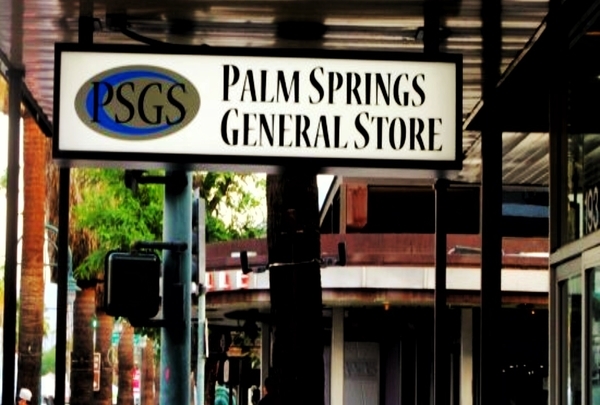 Whether you want to take a piece of Palm Springs back home for either you or a loved one, the Palm Springs General Store's got what you need. From postcards to small novelty items, you can find something that will make you remember all the adventures you took part in during your stay in the city. Locally sourced produce, and fresh high quality proteins make up this diverse menu, with a nightly happy hour. 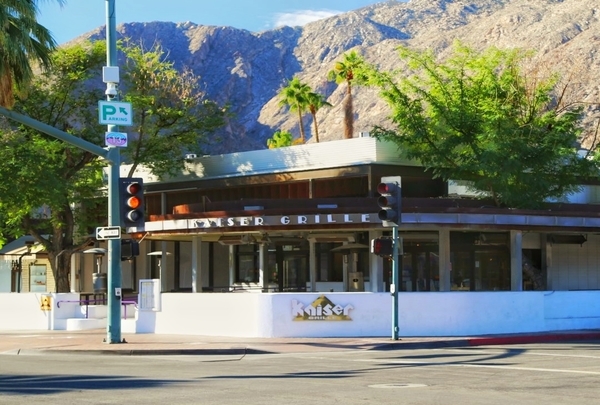 Located in one of downtown's busiest junctions, Kaiser Grille is the perfect place to observe Palm Springs life. 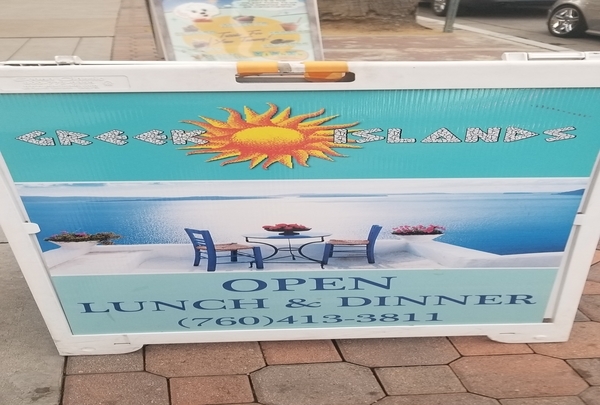 Enjoy a wonderful meal during the day with the beautiful San Jacinto Mountains as your backdrop or enjoy dinner on Thursday nights here and be in the center of action for their weekly Village Fest. Bar and Nightlife in the heart of Palm Springs. Shamrocks Irish Pub, formerly known as the Hair of the Dog, is one of the newer bars you can find in the downtown area. This pub is equipped with both, outdoor and indoor seating. 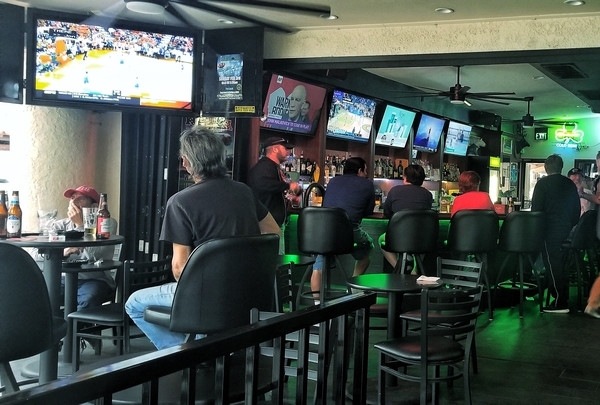 It features two patios and plenty of T.V’s to catch the next big game. So on your next night out, make sure to stop by and grab a drink at Shamrocks. Unique collection of Palm Springs inspired accessories and clothing. 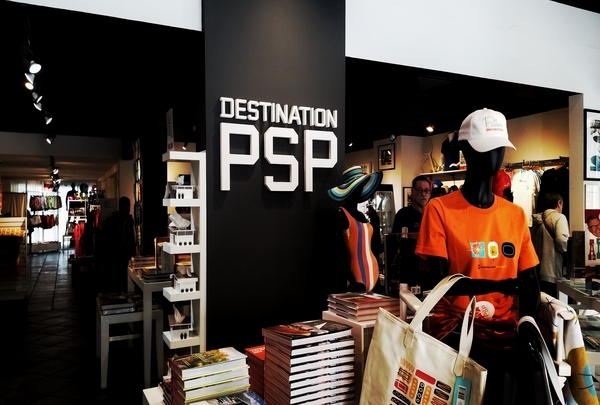 Destination PSP is a must browse for anyone. 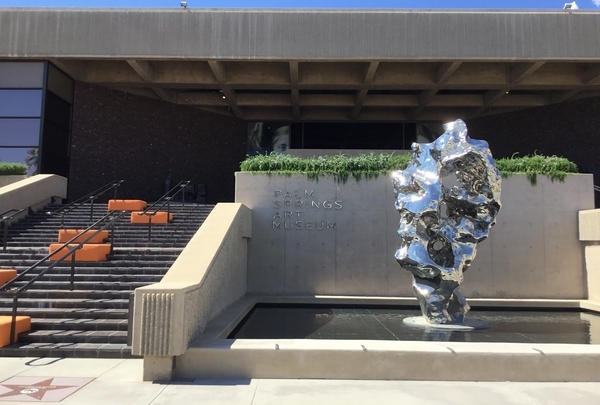 Offering beautiful art pieces of Palm Springs and a wide variety of memorabilia minutes away from the hotel, you can find gifts for anyone back home with just one stop. Creativity and Culture of many great artists are housed inside the 150,000 square foot property. Andy Warhol, Kehinde Wiley, Pablo Picasso, and many other greats have their work housed just minutes away from the hotel. Spend your day feeling alive around pieces that are both thought-provoking and inspirational. And don't miss out on free admission every Thursdays between 4 - 8 pm. Drinks, Music, and Giant Jenna! Moxie is a roof top bar that overlooks downtown Palm Springs. This night life lounge has fun games like Giant Jenga and live music played by local musicians and djs. Moxie not only has great drinks, but focus' on putting a creative twist on traditional bar bits. No time for city tours? This historic tramway rail provides astounding views of Coachella Valley. 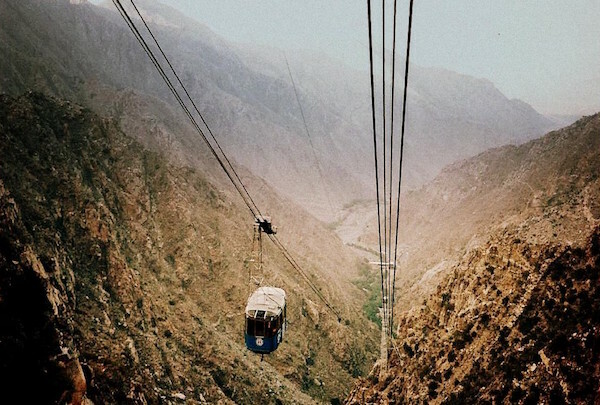 A thrilling cable car ride shuttles visitors from the desert floor to the heights of Mt. San Jacinto—you might experience a 30-degree temperature drop in just a few minutes. While many visitors just hop up for the view, it can be a starting point for many outdoor activities like hiking and mule rides. At the top, you’ll also find a cocktail bar and restaurant with stunning views. Greek Islands is a pet-friendly restaurant that will transport you to a Santorini patio as soon as you step in. Located only three blocks away, you can easily reach here in less than ten minutes on foot. The dim lit setting, white walls, and Mediterranean decor will make you feel relaxed as you enjoy your meal. A health conscious restaurant that supports local farmers and businesses. Enjoy the view of the San Jacinto mountains as you enjoy a meal prepared using local ingredients that are fresh and delicious. Chicken Ranch is the best place to find something light that will keep you satisfied throughout the day. 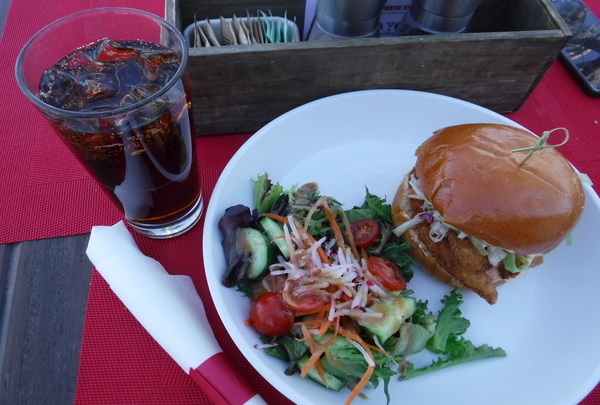 The Ranch Chicken with a side salad and Cane Cola is the go-to for their many patrons. Enjoy Stumptown Coffee at this rustic, contemporary cafe. Ernest Coffee is the only independent Coffee Shop in Palm Springs. They offer many healthy alternatives you can add to your coffee to elevate your experience. Seating is plentiful with an outdoor patio as well as tables inside. A cup of coffee from here will ensure you an instant dose of energy. A creative, versatile and modern menu based on both high quality ingredients as well as fresh local produce. Located in the heart of La Plaza in downtown, Palm Springs. John and Rita bring the comfort of their home to Grand Central. The menu items may look familiar but the ingredients and presentation make it stand apart. 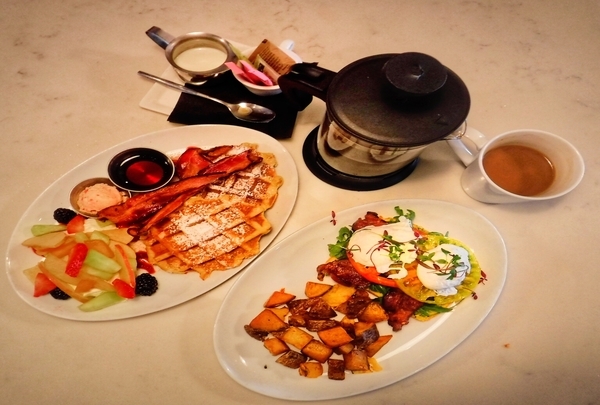 Items such as the Palm Sugar Waffles, Savory French Toast and Morning BLT really embody the creativity of the restaurant without drastically changing the traditional dish itself. We are creating a new menu for you. Help us choose by sampling some of Executive Chef Charly's creations that may appear on our upcoming menu. Try our Mango Margarita to cleanse your pallet. Just what the doctor ordered. Enjoy an old Fashion Apple Bourbon Punch.